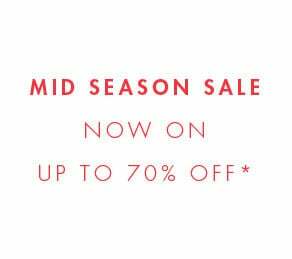 20% OFF* selected dresses & swimwear: - 20% off full price dresses and swimwear in M&Co stores and online at mandco.com. Ends Monday 6am. Discount already applied. Excludes Roman Originals and Beachcomber. Cannot be used in conjunction with any other offer or promotion with the exception of M&Co Reward vouchers. Returns will be refunded at the price paid. UP TO 50% OFF* HOME EVENT: Up to 50% off applies to selected lines only for a limited time. Discount already applied. Cannot be used in conjunction with any other offer or promotion with the exception of M&Co Reward vouchers. Returns will be refunded at the price paid. 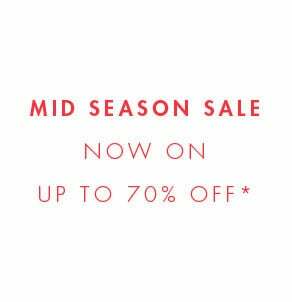 MID SEASON SALE: Up to 70% off applies to selected lines only for a limited time. Discount already applied. Cannot be used in conjunction with any other offer or promotion with the exception of M&Co Reward vouchers. Returns will be refunded at the price paid. 2 for £15 women's briefs: 2 for £15 applies to selected highlighted women's lines only. Limited time only. Discount applied to cheapest item at the checkout. Cannot be used in conjunction with any other offer or promotion with the exception of M&Co Reward vouchers. Returns will be refunded at the price paid. 3 for 2 women's jersey tops: 3 for 2 applies to selected highlighted women's lines only. Limited time only. Discount applied to cheapest item at the checkout. Cannot be used in conjunction with any other offer or promotion with the exception of M&Co Reward vouchers. Returns will be refunded at the price paid. 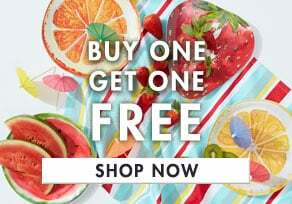 3 for 2 jewellery: 3 for 2 applies to highlighted full price women's lines only for a limited time. Add 3 qualifying items to your basket. Discount applied to the cheapest item at the checkout. Returns will be refunded at the price paid. Not to be used in conjunction with any other offer. 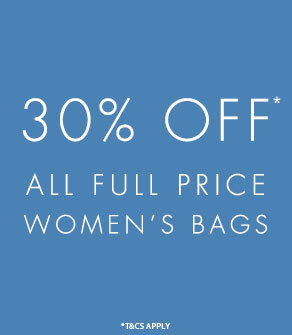 30% off women's bags: 30% off applies to selected highlighted women's lines only. Limited time only. Discount already applied. Cannot be used in conjunction with any other offer or promotion with the exception of M&Co Reward vouchers. Returns will be refunded at the price paid. 3 for 2 kylie underwear: 3 for 2 applies to selected highlighted kylie lines only. Limited time only. Discount applied to cheapest item at the checkout. Cannot be used in conjunction with any other offer or promotion with the exception of M&Co Reward vouchers. Returns will be refunded at the price paid. 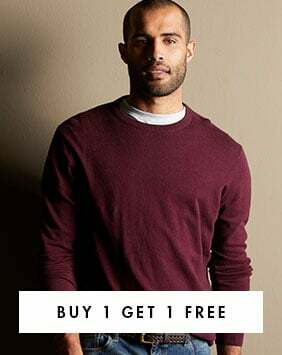 2 for £12 men's T-shirts: 2 for £12 applies to selected highlighted men's lines only. Limited time only. Discount applied to cheapest item at the checkout. Cannot be used in conjunction with any other offer or promotion with the exception of M&Co Reward vouchers. Returns will be refunded at the price paid. 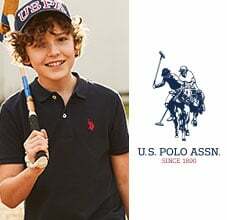 2 for £20 men's polo shirts: 2 for £20 applies to selected highlighted men's lines only. Limited time only. Discount applied to cheapest item at the checkout. Cannot be used in conjunction with any other offer or promotion with the exception of M&Co Reward vouchers. Returns will be refunded at the price paid. 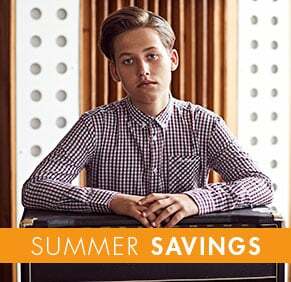 New season offers: 30% off applies to selected highlighted lines only. Limited time only. Discount already applied. Cannot be used in conjunction with any other offer or promotion with the exception of M&Co Reward vouchers. Returns will be refunded at the price paid. 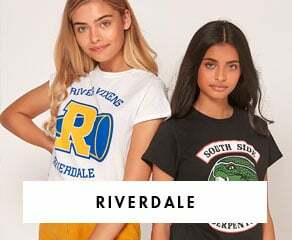 Discount Code/Voucher Terms and Conditions: Online discount codes and in-store vouchers are only redeemable on the day stated. Voucher must be handed over at point of purchase to redeem in-store. Not exchangeable for cash. Defaced, copied, altered or damaged vouchers will not be accepted. Online code must be entered into the promo box at the checkout stage for the discount to be applied. Returned items will be refunded at the discounted price paid. Your statutory rights are not affected. Cannot be used in conjunction with any other offer. Cannot be used to purchase M&Co gift cards. M&Co Kids Instagram followers competition: This competition is open to all residents of the UK and the Isle of Man except employees of M&Co/Mackays Stores Ltd and their families. Entrants must follow M&Co on Instagram (@mandco_kids), like one of our competition posts and tag/mention at least one other active Instagram account in the comments of the same post to enter the competition. Winner will be announced via Instagram's direct messaging service. One winner will be selected at random every month. Judges’ decision is final and no correspondence will be entered into. No cash alternative will be provided. Prizes must be claimed within 14 days of competition closing date. We will attempt to notify the winner via the method they entered the competition on the contact details supplied at point of entry but if after 14 days we receive no correspondence the prize will be forfeited. We reserve the right to feature any entries on our website and social media pages at any time. M&Co Instagram followers competition: This competition is open to all residents of the UK and the Isle of Man except employees of M&Co/Mackays Stores Ltd and their families. Entrants must follow M&Co on Instagram (@mandco_fashion), like one of our competition posts and tag/mention at least one other active Instagram account in in the comments of the same post to enter the competition. Winner will be announced via Instagram's direct messaging service. One winner will be selected at random every month. Judges’ decision is final and no correspondence will be entered into. No cash alternative will be provided. Prizes must be claimed within 14 days of competition closing date. We will attempt to notify the winner via the method they entered the competition on the contact details supplied at point of entry but if after 14 days we receive no correspondence the prize will be forfeited. We reserve the right to feature any entries on our website and social media pages at any time. PRODUCT REVIEW PRIZE DRAW: - Upon submission of a valid review, you will automatically be entered into a prize draw for the chance to win £50 of vouchers to spend online at mandco.com. A random draw will be used to select one winner who will be contacted within 30 days of competition completion. There will be one prize winner per calendar month. The judge's decision is final and no correspondence shall be entered into. Details of the winner can be obtained by writing to M&Co Review Winner, Caledonia House, 5 Inchinnan Drive, Inchinnan Business Park, Renfrew, PA4 9AF after 30 days of the competition ending. There is no cash substitute for the prizes and the prizes are not transferable. The winners may be required to take part in advertising, including photographs. The promoter has the right to substitute the prizes for alternatives of the same or greater value. Promoter: M&Co, Caledonia House, 5 Inchinnan Drive, Inchinnan Business Park, Renfrew, PA4 9AF.